Artist's impression of a vertical launch from the spaceport. The company will also ‘develop innovative technologies’ in Reading, Berkshire with support from two UK Space Agency grants totalling £23.5 million. 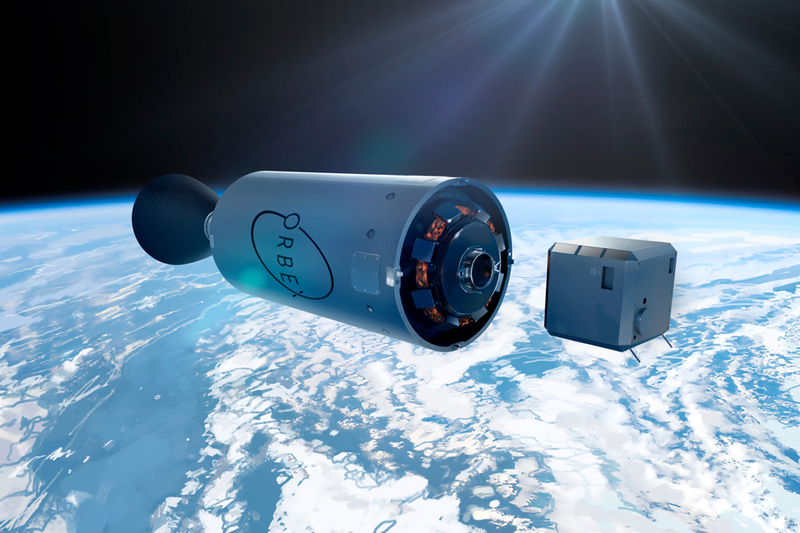 Under the plans, global space leader Lockheed Martin and innovative spaceflight company Orbex will launch rockets into space from the north coast of Scotland. Two separate grants worth a combined £23.5 million to Lockheed Martin to establish vertical launch operations at Sutherland using proven technology and to develop an innovative new system in Reading for deploying small satellites. Known as an orbital manoeuvring vehicle, this will be the upper stage of Lockheed Martin’s rocket and will deploy up to six small satellites to separate orbits. £5.5 million to UK-based Orbex to build an innovative new rocket for launch from Sutherland, with the support of British manufacturing operations and supply chains. Their orbital launch vehicle, called Prime, will deliver small satellites into Earth’s orbit, using a single renewable fuel, bio-propane, that cuts carbon emissions by 90% compared to hydrocarbon fuels. The companies will work together with Highlands and Islands Enterprise, which has been awarded £2.5 million to develop a vertical launch site in Sutherland. “As a nation of innovators and entrepreneurs, we want Britain to be the first place in mainland Europe to launch satellites as part of our Industrial Strategy. The UK’s thriving space industry, research community and aerospace supply chain put the UK in a leading position to develop both vertical and horizontal launch sites. This will build on our global reputation for manufacturing small satellites and help the whole country capitalise on the huge potential of the commercial space age. “The UK’s space sector is thriving and satellite benefits our lives every day, from banking to transport, and agriculture to entertainment. Our Space Industry Act will allow the UK to tap into and develop new commercial space opportunities, with the potential for hundreds of new regional jobs and billions of revenue for British business across the country. Following its call for grant proposals in Spring 2017, the UK Space Agency assessed 26 proposals to determine what would deliver the best value for money and strategic opportunity for the growth of the UK space sector. The UK and US will also soon begin formal negotiations towards a Technology Safeguards Agreement, which will establish the legal and technical safeguards that can support U.S. space launch vehicles to operate from UK launch sites. Attracting US operators to the UK will enhance our space capabilities and boost the whole market. But the elephant in the room is … will all the rockets be built on the Clyde or is this another Westminster betrayal? No Chris, the pattern is full. Seriously, very welcome news for a part of the UK which could do with some investment – and jobs. Ah come on be fair, this is good for the whole of the Country, not just Scotland. Also, those stores ships could be built or partially built on the Clyde or final assembly at Inchgreen Dry Dock. Certainly, Scotland will be involved. Cant wait to see the Skylon spaceplane up and running with a SABRE engine, a true British revolution, it will be the next Concorde! with out a certain sturgeon spreading her poison. Have her way and we throw away it all away. Hmmm, that “country” being part of the UK? A place where over 62% of those who voted in last year’s general election supported Unionist parties? (A rather more conclusive percentage than the controversial Brexit vote). Ms Sturgeon simply leads a minority administration in Edinburgh looking after devolved matters. Recent evidence suggests she occupies a greater place in the febrile imagination of some voters than is merited. For these piddly little amounts, there will be precious little to show. Brand new rocket for 5 million, give me a break. That’s what I thought, and a spaceport for £2.5 million? Is that for the spectator galleries? makes very little sense. Ideally you want the port as close to the equator with the most stable weather possible. Scotland offers neither of these. The only thing it offers is geographically stable. The UK isn’t really suitable but if you had to choose them you would go Cornwall or Devon. A better choice would be gibralta but I suspect not enough space and would annoy the Spanish. I believe the horizontal launch is/could be going to Cornwall. But you raise a valid point. Why not just use Ascension Island? The Gosport ferry would have been a much better choice. Yeah alright, I’ll believe it when we actually start putting stuff into space! I don’t know if this strengthens Sturgeon’s hand or not? I do know the local people in that part of the world would welcome the possible jobs and business. I do like the Cornish location because it’s less political, and will also help the local job market and trade. Now stop talking about it and get going! A purely political decision. Scotland is in no way suitable for a spaceport, one of the oversea territories would have been better. If we HAD to do it in the UK mainland then it should have been Cornwall as others have said. Once again the British government shows that if you don’t live north of the border you’re going to get shafted so that the spineless government can soothe nat egos. I’m afraid coastal Northern Scotland is probably the best place for a UK rocket launching spaceport. The whole West Coast is out because of Ireland, the South because of the continent and the East because of shipping lanes and more distant Scandinavia. You want a huge open area with no habitation to launch over of possible. With the artic circle we have just that. The only issues are weather related and political. Yes, it’s also off air routes, and with the sea and nothing else to launch over – and destruct if it goes off course. Political is actually pros and cons from both sides as I daresay like the T26 build it would be used by “Better Together 2” as a threat for Indy Ref 2, as if that happens in the next year or so, the spaceport won’t even be at planning approval stage. I just hope this is not all public relations. The UK was a leading space and rocket power in the late 1940s to late 1950s, then politicians pixxed it all away. Brilliant observation in today’s Telegraph regarding Tempest to the effect that the ability to fly unmanned will reduce the risk to Pilots. In other words, when unmanned the risk to pilots will not be zero,but will be significantly less!!!! The UK Press never fails to startle one. Space is an industry of the future, we definitely have to invest in designing and building our own launch rockets and satellites and winning export sales. A UK spaceport in Scotland will make it harder for the SI movement to go forward, I would hope.